Early on in my studies, I came to understand the importance of GOLD and precious metals in our lives, our families’ futures and in their well-being. I also noted the importance of GOLD in the scheme used by the New World Order (NWO) to dominate, control and enslave all the peoples of the world. In late April 2014, a good friend of many years called and asked if I’d ever heard of Karatbars, a German company which had been selling monetary-grade GOLD throughout the world for five years. I had not. 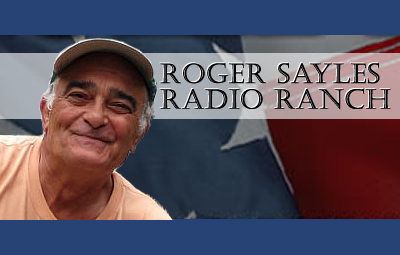 Hello, my name is Roger Sayles. Several years ago, I authored From Sovereign to Serf: Government by the Treachery and Deception of Words, a book in which I exposed what has been done by those in power to bring the great American Dream to its knees. Copies of the book and the 27 minute video I did for Ed Snowden (concerning Ed’s U.S. Passport) can be found at A US Passport For Ed Snowden. My 23 years of political research were done hand-in-hand with my in-depth study of the history of our present financial system. Early on in my studies, I came to understand the importance of GOLD and precious metals in our lives, our families’ futures and in their well-being. I also noted the importance of GOLD in the scheme used by the New World Order (NWO) to dominate, control and enslave all the peoples of the world. In late April 2014, a good friend of many years called and asked if I’d ever heard of Karatbars, a German company which had been selling monetary-grade GOLD throughout the world for five years. I had not. 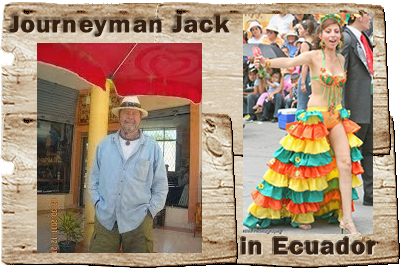 He sent some information, and it grabbed my attention immediately, NOT primarily because of the financial or monetary gain available, but because of the power behind the concept on which this company was created and on which it operates today. Karatbars sells ‘gold-by-the gram.’ It offers 1, 2.5 & 5 grams ‘cards’ with monetary-grade GOLD actually embedded ‘in’ the card. You can find a great deal of additional information on the company and its unique concept HERE. After looking into the company, I quickly realized that for the very first time, to my knowledge, we had a way to collectively fight our traditional enemy, the NWO, by attacking the ‘Tap Root’ of its power – the paper financial system. The control of the financial system by the leaders of the NWO has allowed them to gain the political control to which we are all subjected. The results are obvious to all who dare to open their eyes. Every time rapidly-depreciating paper currency is exchanged for grams of gold, our traditional enemy is weakened. Karatbars takes the currency, exchanges it for gold, then ‘dumps the paper back’ on the rapidly-depreciating pile of paper currencies, weakening them even more! THAT single act gives us financial power, collectively, working as a team, to weaken and, eventually, to topple the NWO. Secondly, I realized, after 23 years of ‘tough sledding’ trying to find people who were even interested in the political findings put forth in my book, that Karatbars offered an easier way to get the message of my book to a much bigger audience! You see, because everyone is concerned about their pocketbook, there will be many, MANY people who will be getting actively involved in Karatbars in the coming weeks, months and years. Now, they can much more easily be exposed to the political shenanigans that have been pulled on the American people! So, the success of Karatbars will enable us to spread the political facts and truth contained in From Sovereign to Serf FAR more easily and widely than before. Ultimately, my research will reach many more people who have been prepared for the message because their study of the concepts behind Karatbars will now enable them to be more aware of the financial shenanigans which have been put over on them! I immediately recognized that this small, relatively unknown German GOLD company could really help further my 23-year ‘mission’ of attempting to show and prove to Americans ‘exactly’ what has been done to them. What I call “The Big Picture” of Karatbars is this: PRIVACY! What Karatbars really offers us is an opportunity for privacy in our financial affairs. You see, once you’re involved, you literally have your own PRIVATE banking system! Yes, you can move funds in your free eWallet to any other Karatbar Member in the world with complete PRIVACY! Once you’ve earned 35 euros in commissions, Karatbars will issue you an International Debit Card (by Master Card) into which your future commissions will be paid. When you use the card, NO BANK sees your purchases! Your transactions are completely PRIVATE! Think of it: a worldwide GOLD exchange with complete PRIVACY! In addition, Karatbars offers an exceptional, but optional, opportunity for personal financial independence for those who share Karatbars’ vision of the future. How much you want to earn is totally in your control! The company pays up to 85% of its profits to those willing to help spread its vision to the world. 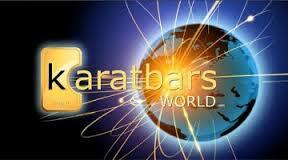 Currently, in 122 countries around the world, there are only approximately 155,000 Karatbar Affiliates! With literally billions of people eligible to become involved, the present number of Affiliates is but an ultra-small percentage of those who will be enrolling to help spread the “Karatbar vision” over the coming weeks, months and years. How many of those potential billions of people would you like on your team? Karatbars gives you an opportunity to LEARN what the NWO is doing, DO something about it, SHARE the Karatbars Vision, REGAIN your freedom from the tyranny of the NWO! How Much Will Your Retirement Account be Worth when You Need it? Has your time to be free arrived? If so, click to send us your contact info and we will show you the way! Interestingly, 1/10 of an ounce of silver has been roughly equivalent to a day’s paid labour for at least a few thousand years. It’s difficult to find 1/10 oz silver ingots however and the transaction fee is now prohibitive. Still, it’s worth considering that silver has historically been worth $1000/oz– not $15 which is what it is now. Difficult to achieve in this world but political and financial freedom are possible Kirk. I was missing you on TME and found you here. I didn’t get into Karatbars over there as Joe M. was saying he had no access to the money. I’d rather come in right under you. Last week they provided time to Dave Von Kleist and it seemed as if they were doing a hit piece on you. He made claims that a person in Argentina (Buenos Aires area) was trying to extort money and terrorizing his girlfriend and if it continued it would be stopped with deadly force. The perpetrator is said to be driving a car. We know you have a motorcycle. They did this in your timeslot there. Hmmmm! Just thought you’d like to know. You said there is a site with the archives of the show from TME. Can you give that on air or place a link on your sites? Its valuable info and it might disappear off of that site. The new station you’re with sounds A LOT better. J.D. Moore says they jack with him but its nothing like what happens at TME. Thanks for ALL you do and I look forward to the answers and the Karatbars info. P.S. I’m former CCG. I was the Black Greyhound driver and I last saw you in Denver about ‘2000 at a preparedness expo when you sold Silverlon bandages. I live in Las Vegas now (5yrs). I have a Friends of The Power Hour group (small) and would like to meet Chris from Las Vegas for in depth talks. Brent, of COURSE I remember you from the CCG dayz in Atlanta! I can’t tell you how good it is to hear from you so many years down the line! Left a message on your cell this a.m. and looking forward to re-connecting from you. To anyone wanting additional, more in-depth info on Karatbars. PLEASE drop me an email. Robert here asked for more info but left no phone number or email address to respond to with info. For those who are wanting info please leave contact info. I just found these comments & messages months after they’ve been originally left..
when they quote the corrupt LBMA and insidious Vatican as there credits of legitamacy. Gold is the nemesis of the New World Order, can’t you see how they’re openly manipulating the price? So, disagree on that point. As for the LBMA affiliation w/KBI. They use LBMA ‘certified REFINERIES’ which you may not know are VERY strictly licensed to refine metals. It is NOT the “LBMA” just so you realize the difference. As for doing business with the Vatican. They put out one “Custom Card” with a Pope on it. Sorry you see that that business decision as ‘insidious’ Rog. How does one acquire Katabars? How does one acquire KaratBars? Karatbars Intl, in Germany, sells all the gold products. Originally just the cards w/gold now we have a 1g coin and will, this fall, be coming out with sub gram ‘currency’ type bill with .01, .025 & .05 gram denominations embedded “IN” the currency. Very innovative and forward looking company Karatbars. The President & Founder Harald Seiz is a true visionary in my opinion..
I’m ready to break free from fiat money and debt slavery. I visited the karatbars website to register, but it asks for a sponsor. I want to become a customer and affiliate. I am interested to start purchasing i gram karabars, please tell me how to start and how much? Would love to send you additional info. Sorry I just saw these comments/messages this a.m. I see no way to contact you..
Left message this a.m. Doc…. I am extremely interested. Please send current pertinent information. From what you left here I have no way of contacting you to send you info..
Hmmm! Sounds good Please send info. Iam interested, please forward more info as to becoming a dealer. Not saying good or bad about this topic, but if you do not hold your own gold, the very moment there is system failure, the person with the gold wins, and everyone else is without a chair. This seems way too close to another multi-level marketing gimmick to me. Hello all, I was wondering if anyone could suggest a couple different options to protect small amount of savings. I was thinking junk silver coins or a couple gold coins but I am worried about seizure or confiscation in worst case scenario I live in north California. I have a bitgold account and a karatbars account but have not bought anything yet. I don’t know what would be the safest vault to hold assets in. I heard Jim Willis mention silver coins is a good option but not sure when it goes bad. Any insight or advise would be appreciated I have like 9k in savings account waiting to turn into paper. Thanks and God Bless. Hi Roger.I am listening to your show. Very interested in the Karat bar program. I am trying to decide who to sign up under.Maybe you? Where would I do that? Keep up the great show. Very interested but I heard USA did not return gold held by them for Germany so will see gold shortage?I should be interested in who accepts karat gold? i am interested but gold is heavy and I live in Australi so cost of delivery may be high? I am interested in joining please advise steps to be taken.